A contemporary drawing guide filled with instruction, encouragement, and tips. The Modern series from Walter Foster Publishing offers a fun, fresh approach to working with traditional art media. This isn't a dry instruction manual; it's a contemporary guide filled with instruction, encouragement, and tips. Modern Drawing shows artists, illustrators, art students, and art hobbyists how to use basic drawing principles and techniques to create fresh, expressive pieces of art. 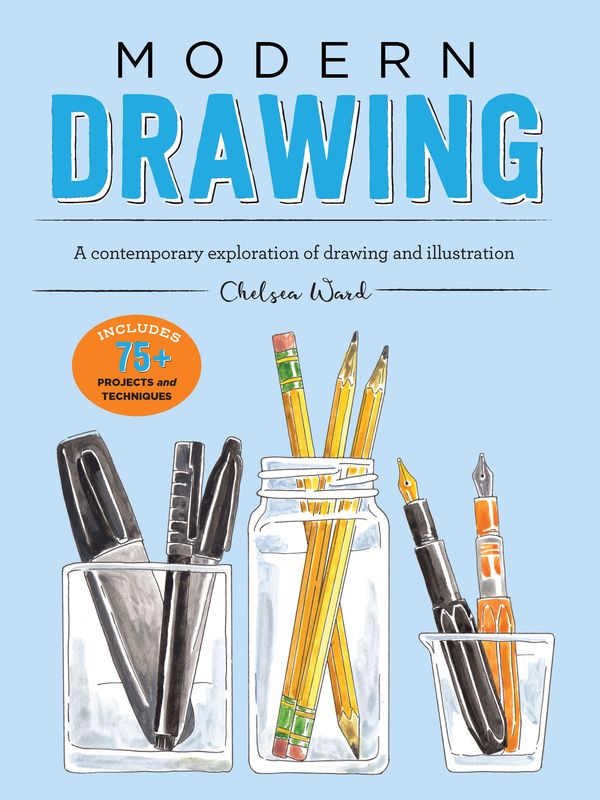 You'll enjoy a dynamic, easy-to-follow exploration of drawing mediums and tools as you work through creative exercises and projects. Aspiring pencil artists and illustrators will also learn how to “see” a subject and render a personal yet modern interpretation of their observations on paper. From expressive architecture and landscapes to nature motifs, animals, and people, Modern Drawing provides a fresh, contemporary, and enjoyable approach to learning how to draw. Chelsea Ward is a maker of one-of-a-kind creations with an addiction to travel. Since graduating from the University of Texas at Austin with a BFA in studio art, she has been a Jane of all trades. She currently juggles her small business Sketchy Notions, an Etsy shop of custom treasures, teaching art lessons through Arts Outreach, co-hosting Bellissima Art Retreats with Gypsy Studios in Tuscany, and as the head chalk scribbler with Chalk by Chels. She is also the artist behind Cursive Cursing, a line of quirky paper goods that feature swear words. Chelsea has worked with a variety of clients, including Santa Barbara Popcorn Company, Solvang Coffee Company, and J Ludlow Vineyard. Her work has been featured by Elite Wedding Collection Magazine and The Knot, among others. Learn more at www.chelseawardart.com.